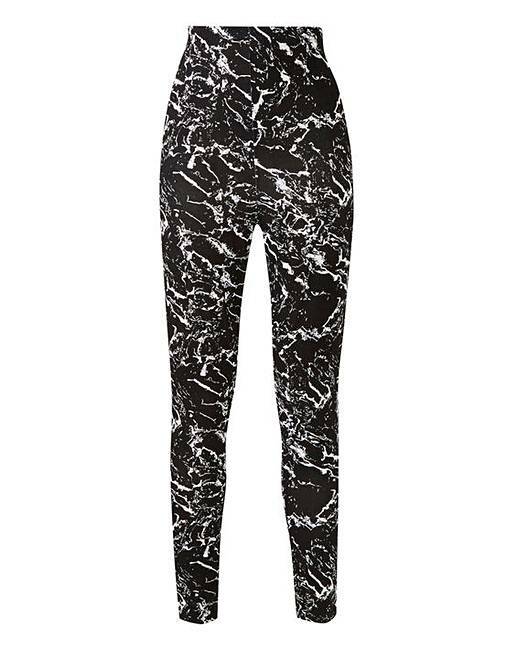 Marble Print Jersey Leggings Regular is rated 4.2 out of 5 by 5. Comfy stretch jersey fabric with fully elasticated waist. Easy-to-wear pull-on style. Rated 5 out of 5 by jazzy from Love it I thought I would try these, and wow, they are so comfortable, you don't realise you have them on, They look nice, they feel nice, they compliment any outfit, I am so glad I got these, this is my Fashion statement. Rated 5 out of 5 by Singly from Look great on. These leggings go with so many jumpers and tunics. Soft and comfy to wear and such a bargain. The delivery time was super quick and I’m impressed with the quality for the price. Rated 4 out of 5 by Hatperson from Lovely design I'm really pleased with these leggings. They are long enough and fit nicely on the waist.